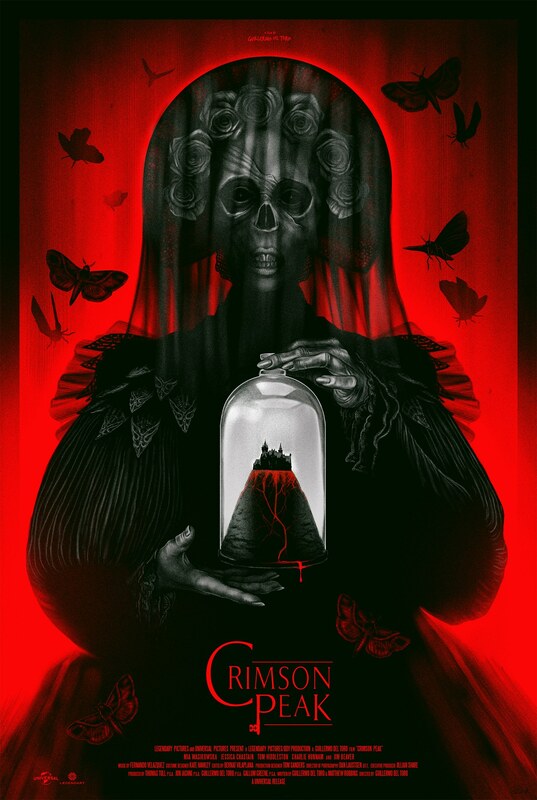 Sarah Deck, known for her pop culture and surrealist art, has released the newest edition to her horror-inspired collection: a reimagined poster for Guillermo del Toro’s Crimson Peak. The poster beautifully embodies the look and feel of del Toro’s gothic romance, and includes clever details like a key shaped P in the word “Peak”. Sarah’s artwork has also graced the cover of Rue Morgue Issue 178, where she brought together the Wicked Witch of the West, Princess Asa Vajda and Fairuza Balk’s Nancy Downs. Sarah commissions her work privately, so if you are interested in obtaining a copy please visit her Facebook page. Visit www.saradeck.com to check out more of Sarah’s work.